Fusion Dance Night is held every 3rd Saturday in even months at Huis van Puck. Huis van Puck is a cultural hotspot with several dance and music studios, a small theater and a bar. The cosy bar is where we pile up the furniture to make us a lovely dance floor. The place is easy to reach both with public transport and by car. Nearest busstop ‘Kazerneplein’ is located right in front of the entrance. On Saturdaynight this busstop is serviced by Breng Flex: https://www.breng.nl/breng-flex/1411. Busstop ‘Hoflaan’ is serviced till late at night, it is a 500 meter walk to/from the venue. 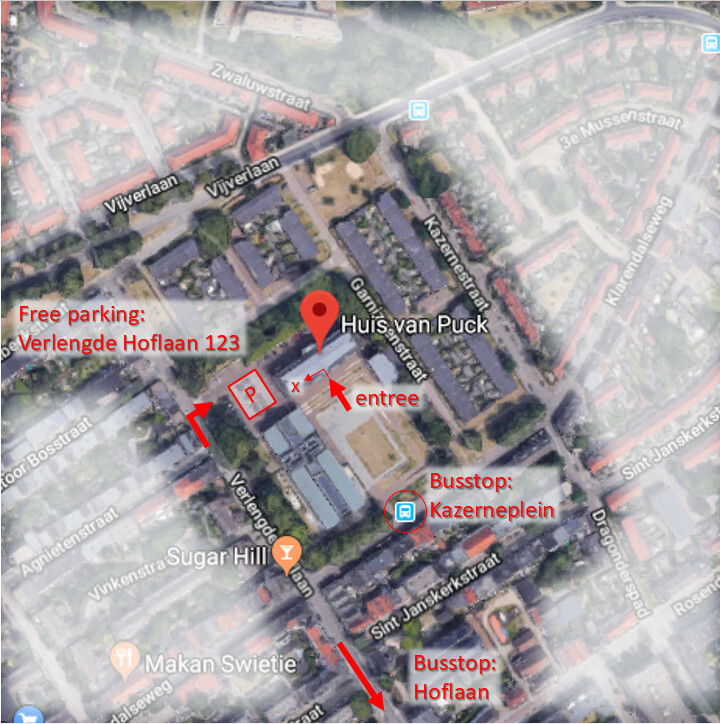 Free parking on the premises, navigation address: Verlengde Hoflaan 123, Arnhem.